Banners can make a statement indoors or outdoors at an affordable cost. 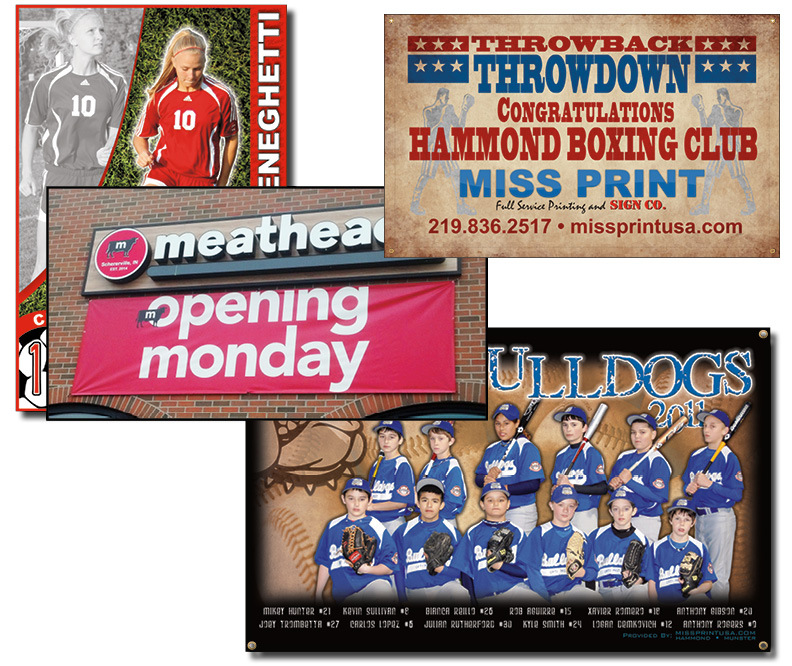 We can help you create customized banners for any occasion or location. If you need a banner to promote your charity or business a banner is the perfect solution. If you need an economical solution for a temporary promotion or a long lasting solution that will stand up to the elements we have just what you need. Banners off an easy to deploy solution for your quick advertising needs. Minimal storage requirements make them ideal for reuse, just unroll and go! Take them with you to all your events. Need to update your banner information for this year’s event? We can do that! Need a pop-up adverting solution? Take a look at our Banner Stands!